Pat Connaughton (23 points) hits the game winner over Luis Puello with twenty seconds left. 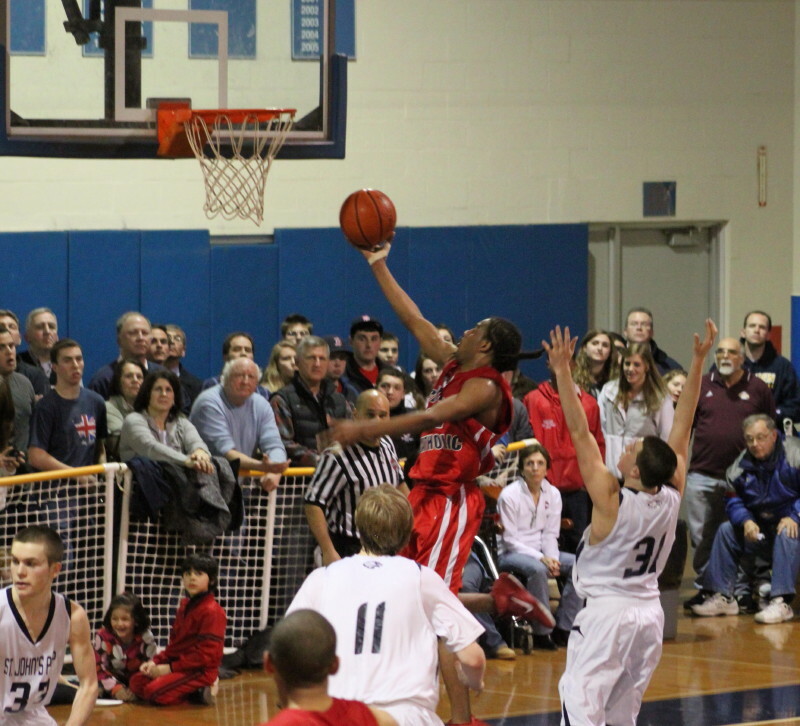 (Danvers) This was the game you circled on your calendar when you got the 2010-11 schedule for either St. John’s Prep or Central Catholic. 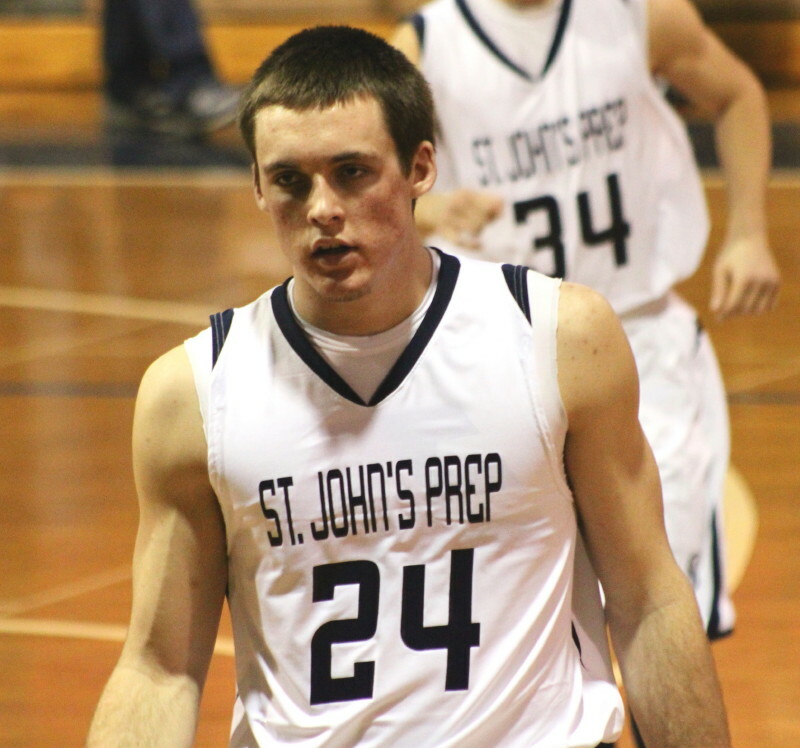 Central Catholic at St. John’s Prep. Plenty would argue that they’re the two best teams in the state. And what a show they put on at St. John‘s in front of at least 1000 fans, some sitting and many standing, on Wednesday night. 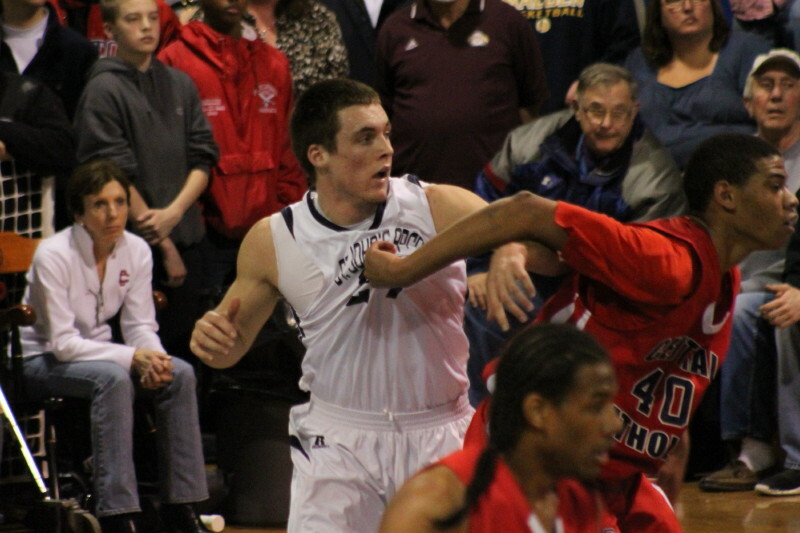 No surprise that Pat Connaughton would have a big part late in the Eagles winning 72-70. He made a tough shot over Luis Puello with twenty seconds left to give St. John’s the two-point edge and then topped that by blocking Jimmy Zenevitch’s tying layup attempt from behind down the other end. The Raiders had one last try for a tie/win with 3.8 seconds to go but Freddy Shove intercepted the inbounds pass after a deflection by Isaiah Robinson to seal the victory. 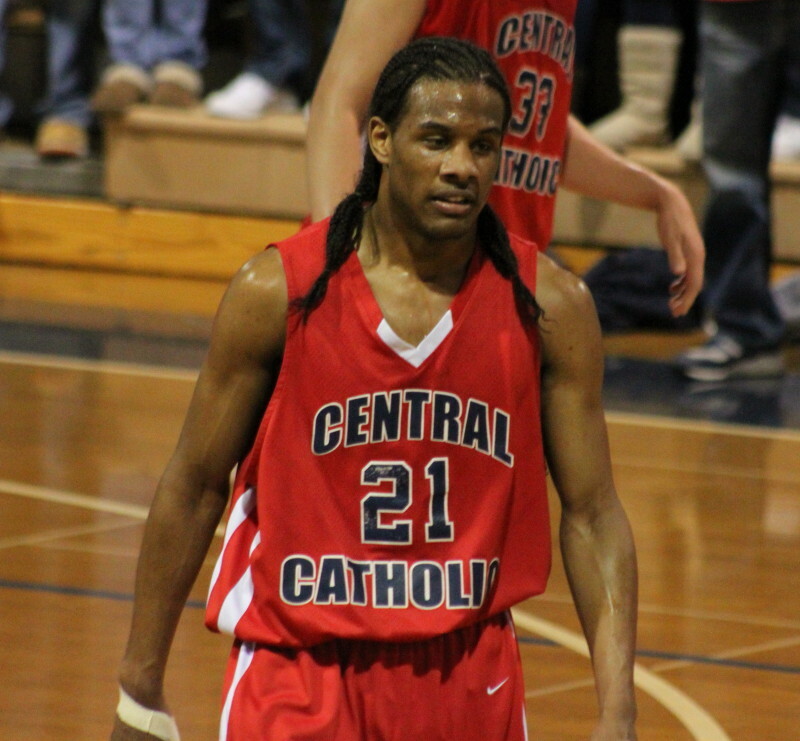 Central Catholic (19-2) had a fifteen game winning streak snapped while St. John’s (19-1) extends their win streak to eight. I also learned that the Raiders had an eleven-game winning streak versus the Eagles ended by tonight’s outcome. The Eagles finished the regular season 13-0 at home where the support is organized, loud, and never-ending. The possibility that these teams could get a rematch in the Division 1 North finals would appear likely. Both will make it difficult for opponents between now and a rematch to run an organized offense. Each has several big-time, go-to shooters. There were eight lead changes in the first quarter before the Eagles ran off thirteen straight going into the start of the second quarter to pull away (24-12) and hint that a blowout might be in the making. Pat Connaughton converted a rebound, hit a jump shot, and then nailed a long one in this segment. Jimmy Zenevitch connects on a three. Over the next 3:45 the Raiders started the road back using a 10-2 spurt including a couple of Jimmy Zenevitch baskets to close to 26-22 with four minutes left. 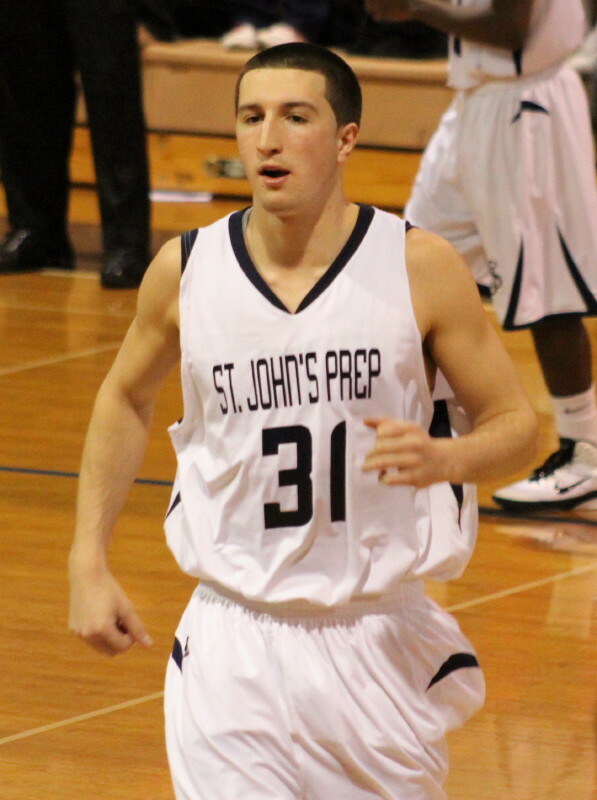 The Prep led at the half, 36-31. 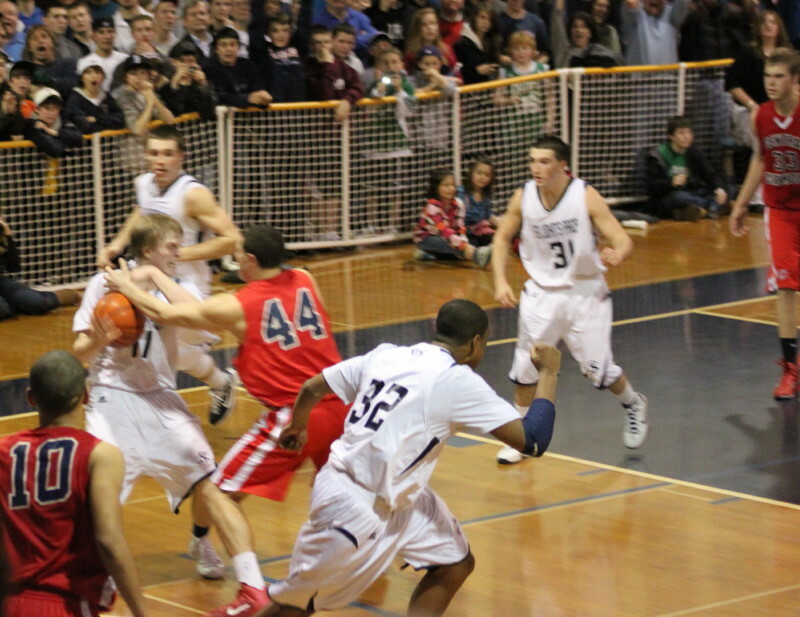 CC finally caught the Eagles (41-40) on a Jimmy Zenevitch jumper 3 ½ minutes into the third quarter. There would be nine more lead changes before this game ended. The third quarter finished with the teams tied at 55-55. It wasn’t hard to suspect at this point that there was an exciting conclusion in the works. Five minutes of playing time later you weren’t so sure. After Central Catholic had gone up by three (60-57) on Jimmy Zenevitch’s three and a layup, the Prep rattled off ten straight points to take command (67-60) with just three minutes left. Three of the points in that 10-point run were from Pat Connaughton connecting from NBA range. In practice, NBA range was not out of his range. Despite a very hostile environment, CC surrounded a missed Eagle shot with layups by Jimmy and Luis Puello. Those clutch scores made it a one-possession game (69-66) with 1:21 to go. 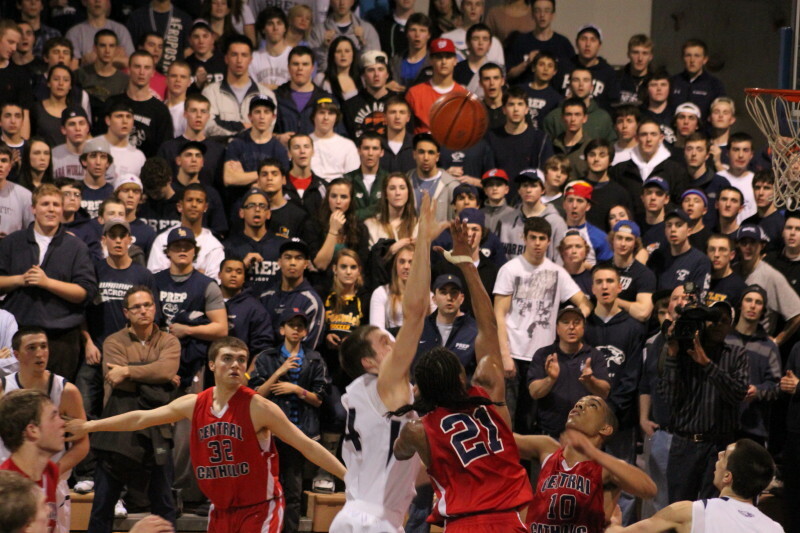 Lack of a goaltending call on Jimmy Zenevitch led to a techical foul against St. John’s. Freshman Tyler Nelson made both technical foul shots. CC got to keep the ball as well and Jimmy Zenevitch drove for a layup and to the dismay of the home crowd, Central Catholic was shockingly in front, 70-69, with 1:10 left. Naturally the Eagles had the ball in Pat Connaughton’s hands in the next possession and he got fouled and made one of two free throws with 1:03 left to tie the score. Jimmy missed an attempt to break the (70-70) tie and that set the stage for Pat to score the winner and block Jimmy’s tying attempt. 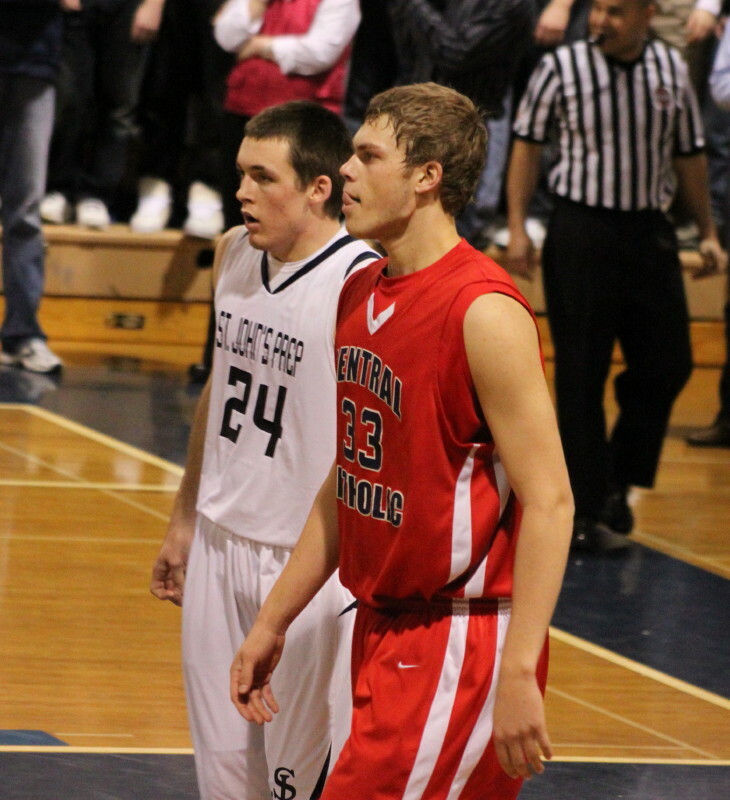 Jimmy Zenevitch (32 points) used his height (6-7) to get inside points. The lefty also made a three in the final quarter. The talented senior reached 1000 points in the third quarter. However, in a game this tight the Assumption recruit may well look back at his 3-for-10 from the foul line with some dismay. Pat Connaughton (23 points) was guarded by at least five different players in denial man-to-man mode. Down the stretch you knew that the Notre Dame recruit would be getting the shots, as did CC, but they couldn’t keep the ball away from him. His game-saving block late was just a great athletic move. 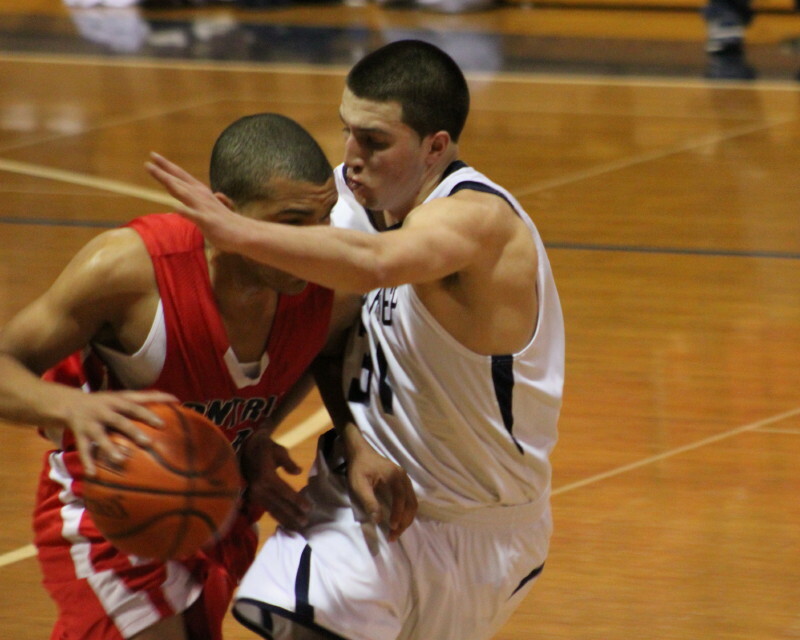 Mike Carbone (21 points) puts some serious defense on Jaycob Morales. 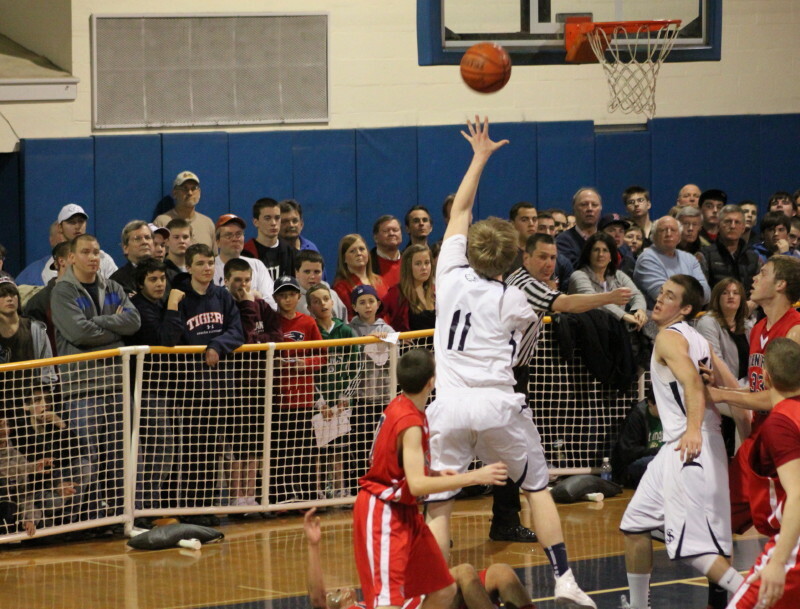 Mike Carbone (21 points) has the quick release to offset his lack of size. He hit four 3’s and didn’t miss a free throw. He also did a super defensive job on Jaycob Morales (5 points). Luis Puello (12 points) is a favorite of mine. His quickness is eye-catching and his defense is as well. He can get to the basket anytime he chooses. The crowd was awesome. I checked out the St. John’s website and knew that the doors opened 1 ½ hours before the game started and that a sell-out was likely. I got there shortly after 5:30 (the game started at 7) and there were few seats left. Many of those who arrived in the next half hour ended up standing. After that, the sellout the website referred to happened. 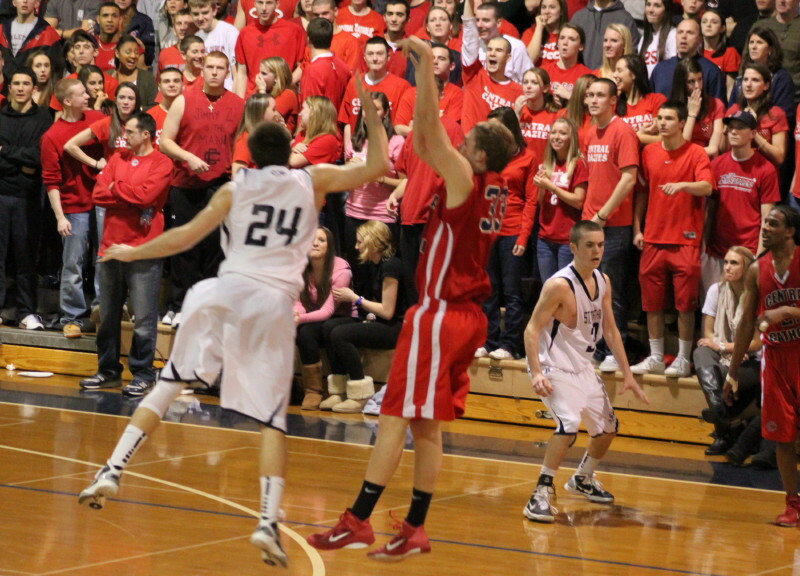 Both teams played man-to-man defense full-court. Two normally productive point scorers Stephen Haladyna (4 points) and Evan Sheehan (2 points) were held in check by their defenders. The pairings for the state tournament will be announced on Friday (February 25th) and the do-or-die games start on Tuesday. 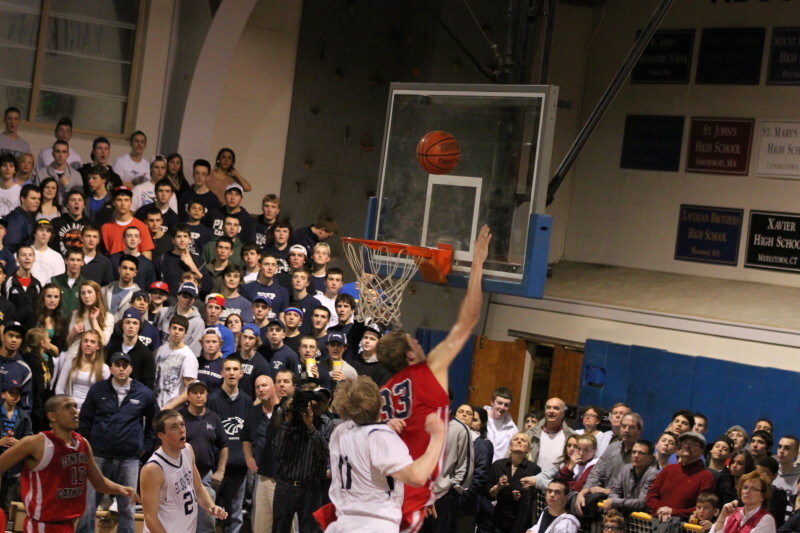 Note the late-arriving crowd under the basket. Wouldn’t Central Catholic like another chance against The Prep on a neutral site for the Division 1 North title. I expect to be there if that game happens.